Radha looks at Krishna and says he always gave her knowledge, even now she will use his knowledge to save him. She reminisces Krishna treating a bird saying love is very powerful and can cure anything. She thinks she will save Krishna with her love. She reminisces serving saints and thinks she stopped Krishna by serving saints last time, even this time she will do same. On the other side, Kans does havan and gets black magical weapon to kill Krishna. She searches saints and someone says they have already left. Radha goes to temple and prays god why he is giving her so much hardship, he should help her save Krishna. Balram eagerly waits for Radha and hopes her to return soon before Krishna is taken to Mathura. Ayan tells Jatila they should Balram from accompanying to Mathura, else he will pose a problem to them. Jatila tells Nand that there should be someone here to protect Vrindavan people, so Balram should stay back. Balram sasy he will go with his brother. Nand says he can understand his feelings, so he can accompany, let Vrindavan vasis protect themselves. Jatila and Ayan fume in anger. Kans informs his sister Devaki that her son Krishna is coming here. Devaki gets happy. Kans shows weapon and says it is very powerful and poisonous and can kill Krishna easily. He orders Akroor to inform guards not to harm Krishna as he wants him alive. Akroor informs same to guards. Radha continues praying god and reminisces rishi Durvasa blessing her that if she prepares food and feeds someone, he will be alive for ages. She thanks god, rushes home, prepares butter, and runs to Krishna’s house where someone says Krishna is already taken towards Mathura. She runs holding pot and reaches cart. Balram sees her and stops cart. Radha feeds butter to Krishna. Yashoda asks what is she doing. Radha reminds her that rishi Durvasa blessed her that if she prepares food and feeds someone, he will be alive for ages. She then reminisces tasting butter and feeding it to Krishna many times and does same. Krishna’s blisters disappear and he opens eyes. Radha gets happy. Krishna gives moral gyaan that one must have seen rainbow after rain many times; rainbow emerges when light travels water and disperses into 7 colors; water is pure as it falls from sky on ground and gives life to others; similarly one should always spread love selflessly like water. Precap: Krishna thanks Radha for saving his life. Radha says she saved her life and feeds him butter. Chandravali gets heartbroken seeing this. Radha gets jealous and walks away. Balram asks what happened to Radha. Krishna says he has to start his second phase of relieving Radha’s jealousy. 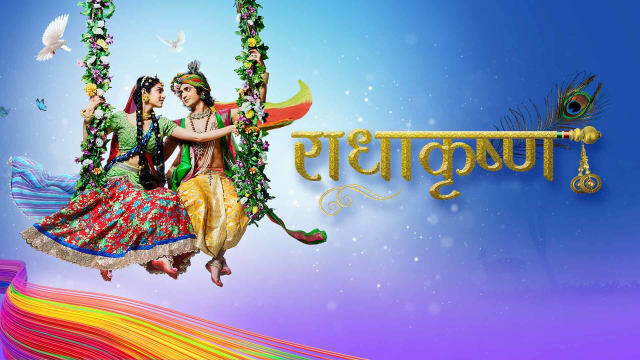 The post RadhaKrishn 2nd March 2019 Written Episode Update: Radha Saves Krishna appeared first on Telly Updates.